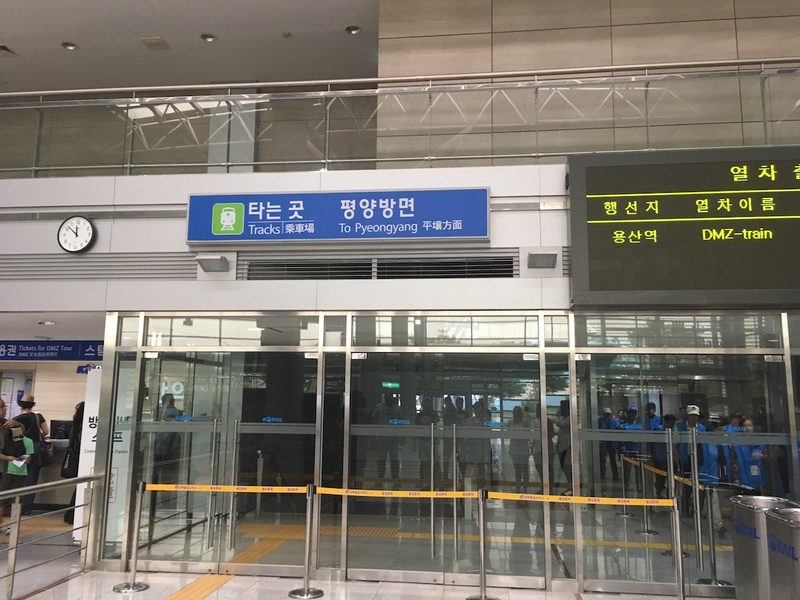 As our plane touched down at South Korea’s Incheon Airport, it felt as though we’d travelled a lot further than the two-hour plane ride from Vladivostok would suggest. The airport was enormous. It was so enormous that it was slightly intimidating. We had arrived very late at night and I was starting to worry about how long it would take us to navigate this monster of an airport and make it to our hostel in the centre of Seoul. But I needn’t have worried. The airport wasn’t just huge – it was also incredibly efficient. And clean. Very, very clean. We have since learnt that Incheon airport has been voted world’s best airport by Airports Council International every single year since 2005, and world’s cleanest airport by Skytrax. It wasn’t hard to see why. It took us just minutes to get off the plane, take a small airport train to the arrivals area and clear immigration. It was a very smooth, automated process, complete with an English speaking talking fingerprint machine. All in all, it was a very different experience from the lengthy border crossings we encountered on the Mongol Rally. Airport authorities claim that average arrival takes 19 minutes, compared to a worldwide average of 45 minutes. This is an achievement in itself, but when the airport is also one of the biggest in the world and still manages to be so speedy, it’s hard not to be impressed. Incheon airport is located around 60km west of Seoul city, so we still had a bit of a journey to get to our hostel in the city centre. Thanks to the wonderful South Korean public transport system all we had to do was board a comfortable and very regular bus that happened to stop right outside our hostel. It couldn’t have been easier. 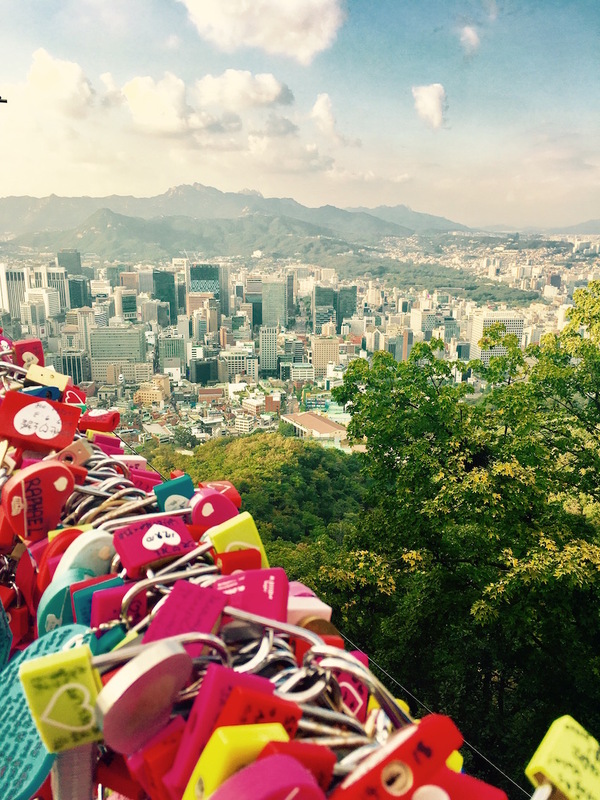 I felt a love affair with South Korea starting to blossom. The next morning we started exploring. We visited Gyeongbokgung Palace, one of five palaces in the city centre, and the main palace of the Joseon dynasty from 1395 until the 1900s. It formed a massive complex of over 330 buildings. 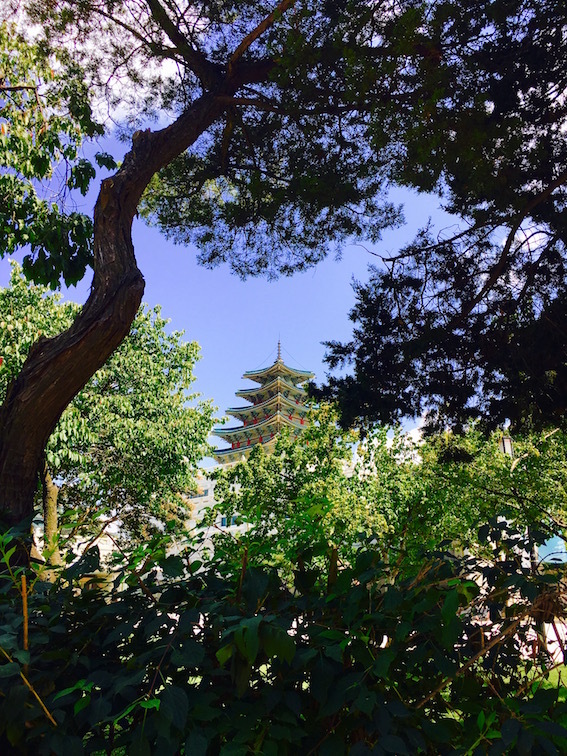 Unfortunately much of the Palace was destroyed in 1911 during the Japanese occupation of Korea, and although there has been a massive reconstruction effort only 40% of the palace has been restored. Nevertheless, there was plenty to see. 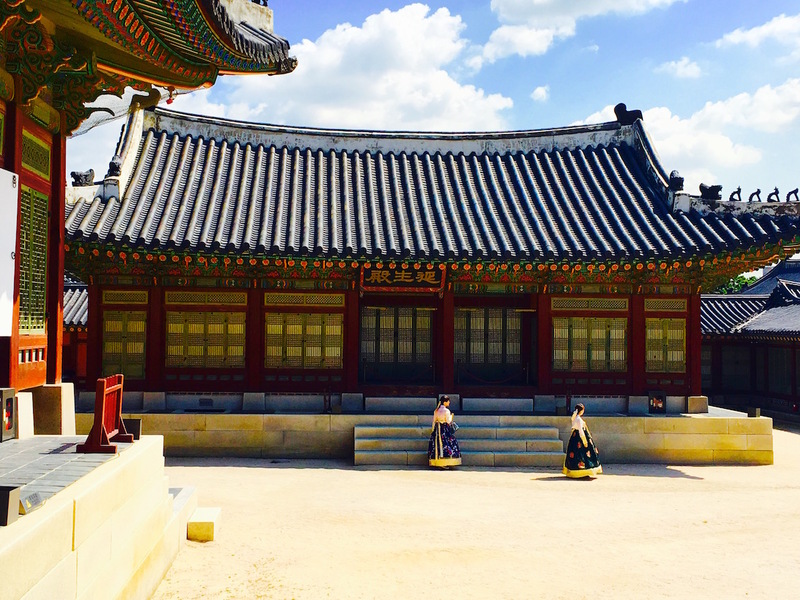 An interesting quirk of the Palace was that you could enter for free if you were wearing traditional Korean dress. 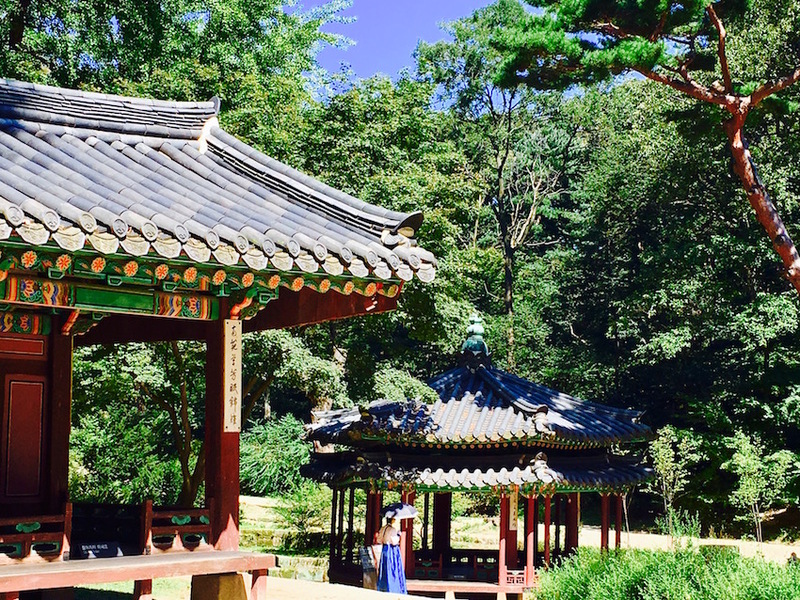 Although entry to the Palace only cost 3000 Korean Wan (about £2), there were plenty of local residents who made the effort to dress up in traditional clothes in order to bag a free ticket and to take a few selfies while they were at it. From Gyengbokgung Palace we strolled over to Bukchon Hanok Village, a traditional Korean village in the centre of Seoul, where the buildings and traditions have been preserved for 600 years. This was a living, breathing village made up of pretty traditional houses and narrow streets… and a number of signs asking tourists to please “keep quiet” and “refrain from shouting”. There were no shortage of visitors and we could imagine the local people get fed up of us clogging up their streets and making noise. 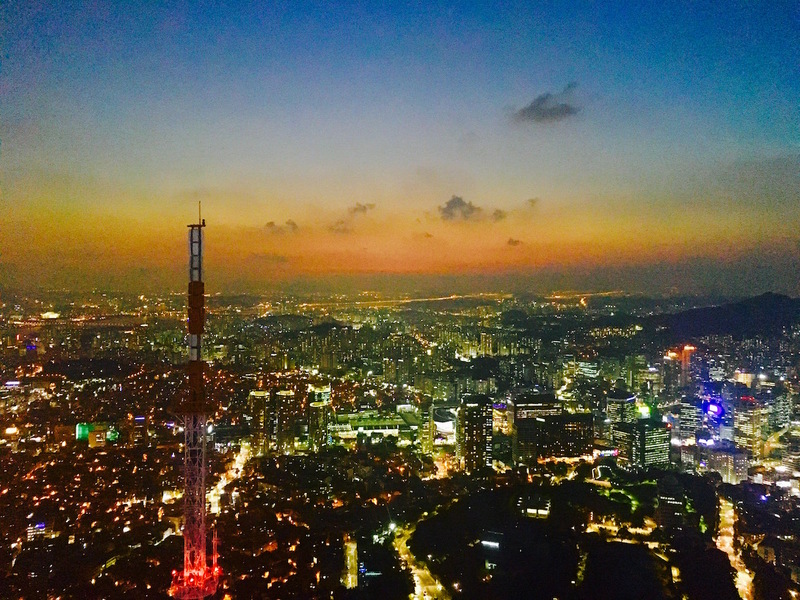 We then took a bus to Namsan Park where we climbed Nam Mountain – a peak in the middle of the city – and bought tickets to enter Seoul Tower on top of the mountain for a good look at the view. When purchasing our tickets, we found there was an interesting deal on. We could buy two tickets to the tower. Or, for just 70p extra, we could buy two tickets, a large popcorn and two large soft drinks. Obviously we went for the strange popcorn deal, and enjoyed the view with a delicious snack. This was the first of many delicious snacks we consumed in South Korea. We watched the sunset from the tower and then headed back towards our hostel, stopping on the way for delicious snack number two: Korean BBQ. We ate at a restaurant with a BBQ built into the table, and were given a plate of meat which we grilled ourselves and ate with a variety of side dishes. 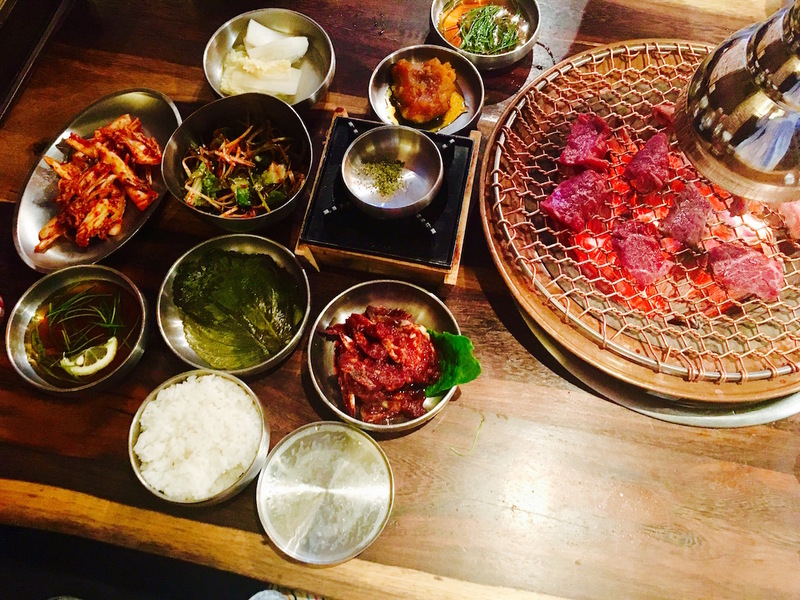 It was delicious, and we started to fall in love with Korean food as well as South Korea itself. 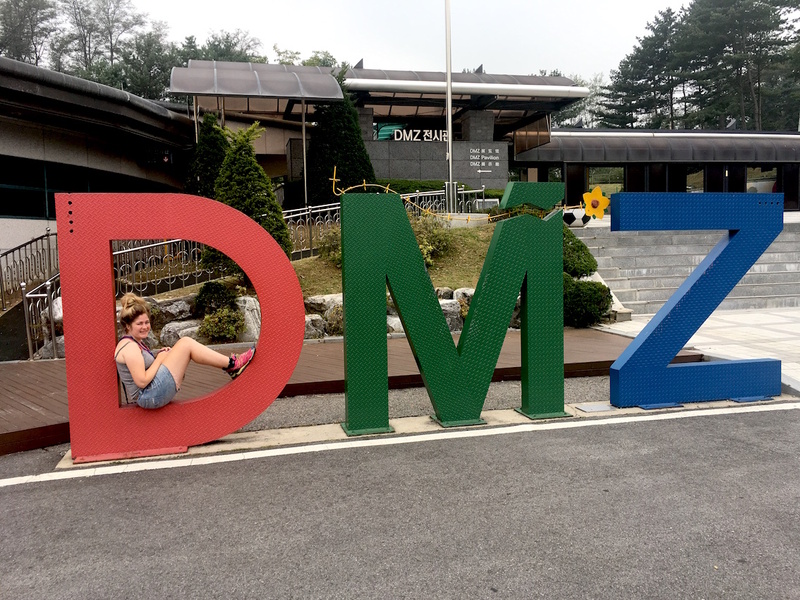 On our second day in Seoul we were picked up early in the morning for a tour to the Korean demilitarized zone (DMZ) – a 4km buffer zone between North and South Korea. After North and South Korea formed separated nations, war broke out between the two sides. An Armistice agreement in 1953 created the demilitarized zone between the two countries. Both sides agreed to move their troops back 2km from the front line to try and prevent another outbreak of war. Despite this, large numbers of troops are still stationed along both sides, and beyond the 2km buffer zone this remains one of the most heavily militarized borders in the world. Freedom Bridge, where former South Korean and Allied POW’s were traded and could return safely back home. An underground tunnel, which was built right under the DMZ by North Korea. They were planning to use the tunnel to attack South Korea. This was one of four tunnels discovered so far, and South Korea believes there are many more. Dorsan Station, which used to connect North and South Korea. Trains ran every weekday for a very short time from 2007 to 2008, until the North Korean government closed the border crossing. Now the station stands as it was, complete with empty platforms and an empty immigration hall. Our tour guide spoke repeatedly of the trains resuming once “unification” is achieved. This was suggested as if Korea will be one country again next week when in fact that feels like a lifetime away at the moment. After our tour of the DMZ we caught the subway to Hongdae, a very trendy neighbourhood in central Seoul, filled with street food, karaoke bars, shops and weird and wonderful shops. 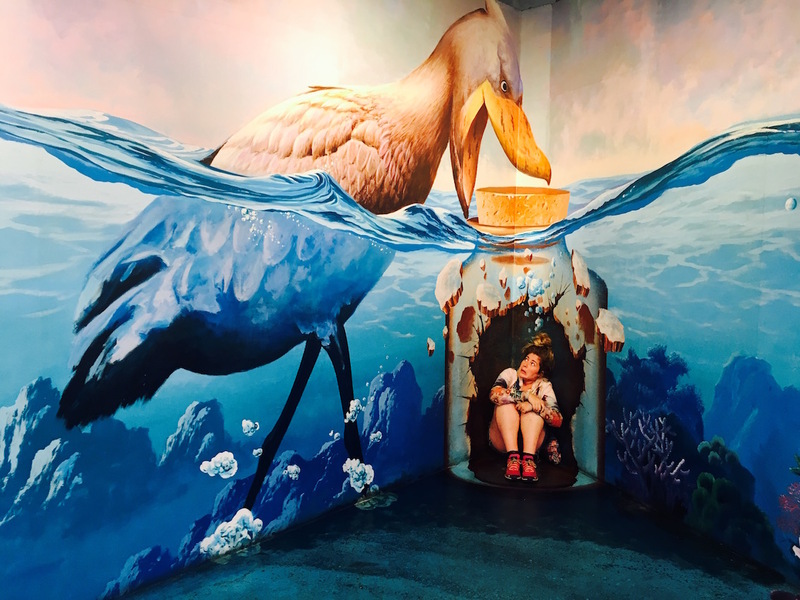 We headed for the fun-filled and interesting looking Trick-Eye museum and ice museum. 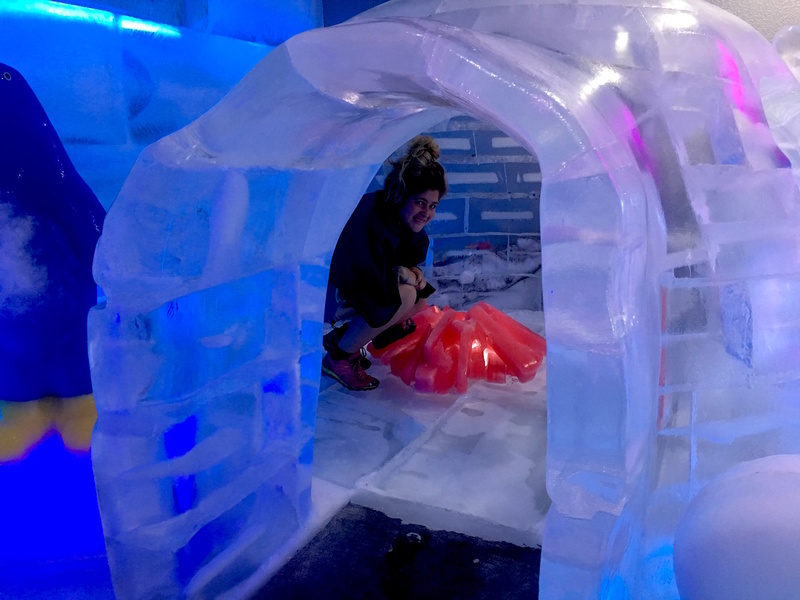 We were expecting to encounter strange and clever optical illusions, but this is really just a place to take selfies and marvel at ice sculptures. There was also an ice slide, which was quite fun but very cold. We were in the middle of taking weird selfies when I got an unexpected phone call. Roy from the Mongol Rally team The Coddiwomples (the team driving Martha back through Europe) was stuck with Martha at the border between Russia and Estonia. While we had successfully and legally changed ownership of Martha, there was a problem with the Russian customs form for her. It was in my name. And I had to be there in person to get her out. This was impossible. 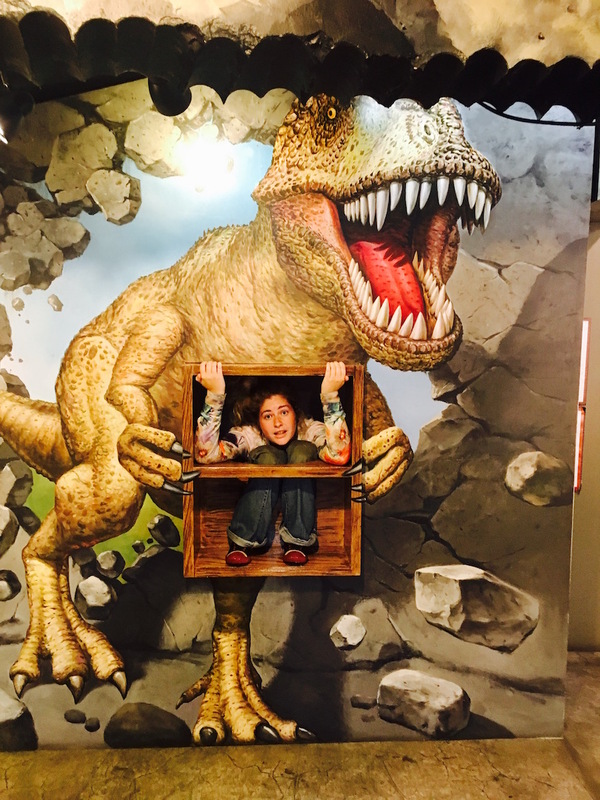 Not just because I was having a great time at the Trick-Eye museum and didn’t want to go and deal with more paperwork, but because they were on the other side of Russia – 10,000km away. I talked about the options with Roy. I tried sending a picture of my passport with the stamp to show I had left Russia already, and that didn’t work. The boys could leave Martha in Russia (illegally) and cross the border without her, but then we would all lose our deposit with the Adventurists and possibly never be allowed to return to Russia. It seemed absurd that the border officials would rather have to deal with an abandoned car than let the boys through, but then there isn’t much common sense when it comes to Russian bureaucracy. There was one other thing we could try. If the boys had a note from my doctor which said I had left Russia due to ill health and was still too unwell to return to collect the car, that might persuade the border officers that I couldn’t be there in person to sort out the customs form. So, bearing in mind that the boys were stuck at the border (not a great place to be), Shane and I hotfooted it to an internet café as quickly as we could. We set to work producing the doctor’s note, which was a challenge as everything we did on the computer was in Korean. Thankfully, some hours after receiving the note and showing it to the Russian border officers, Martha and Team Coddiwomples were permitted to enter Europe. 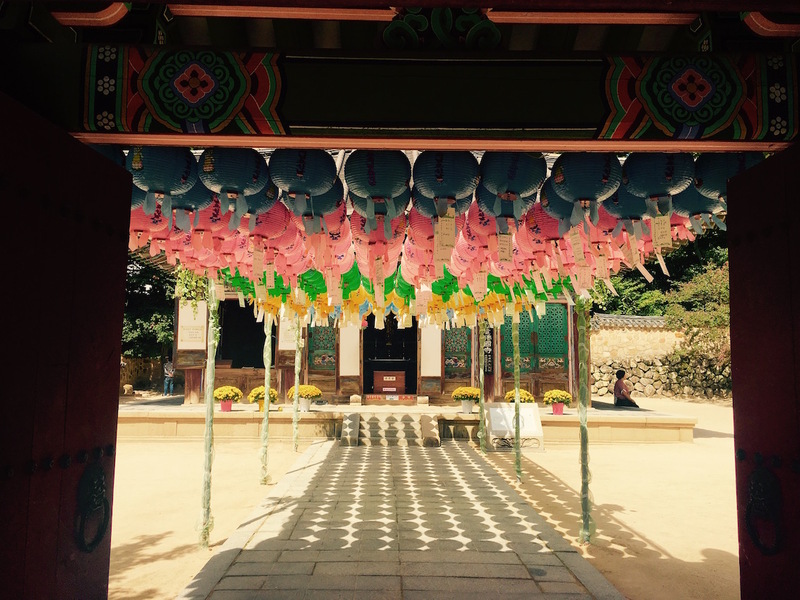 Our final morning in Seoul was spent visiting Changdeokgung Palace. 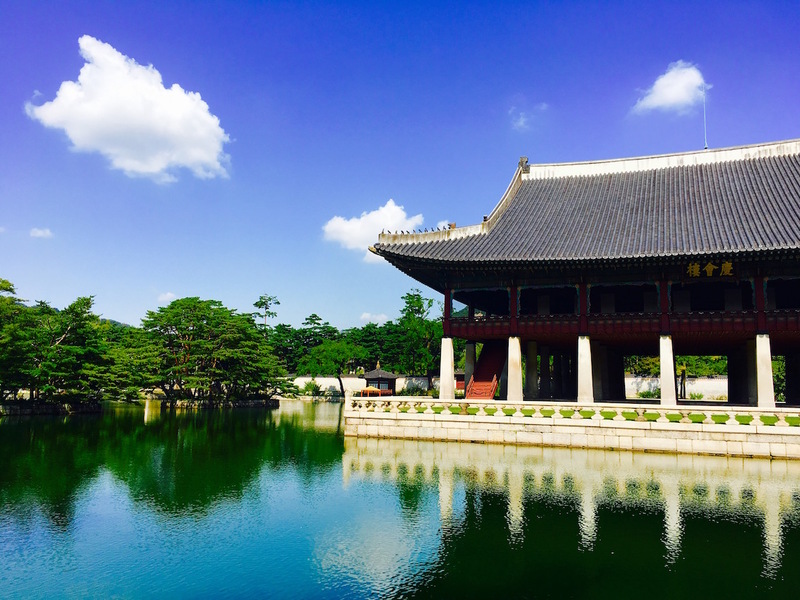 The Palace itself was smaller than Gyeongbokgung but it had a beautiful secret garden at the back filled with stunning plants, ponds and pagodas. 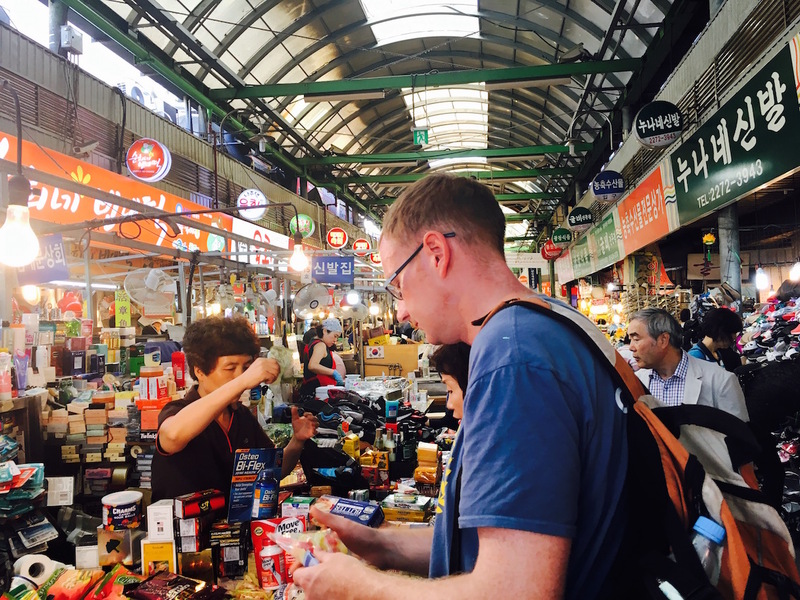 Next we had a lunch stop in Gwangjang market, one of South Korea’s largest traditional markets. 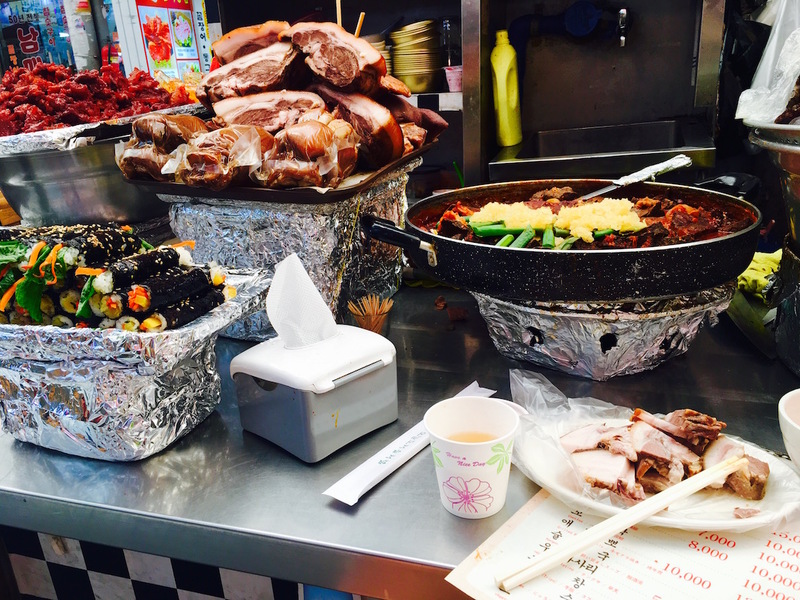 It was filled with weird and interesting food. “Do I try the pig skin, the chicken feet, or the ox head?” I mused, eventually plumping for the ox head (which unfortunately tasted pretty much as gross as it sounds). While I felt a bit sorry for myself chewing on ox head, Shane was having a whale of a time as he discovered some delicious pork meatballs. Luckily he ordered a huge portion so there was enough for me to try some too. After lunch we wandered down Cheonggyecheon Stream – a canal in the middle of the city which stretches for 11km and serves as a kind of recreation space – and then found an all-you-can-eat Korean BBQ restaurant where I could try all the weird food I wanted while also eating the good stuff. On our fourth day in South Korea we packed up our bags and took a bullet train from Seoul to Gyeongju, where we are stayed for four nights. The train was fantastic. It was on time (apparently trains in South Korea are ALWAYS on time), air conditioned, with comfortable seats and a TV. 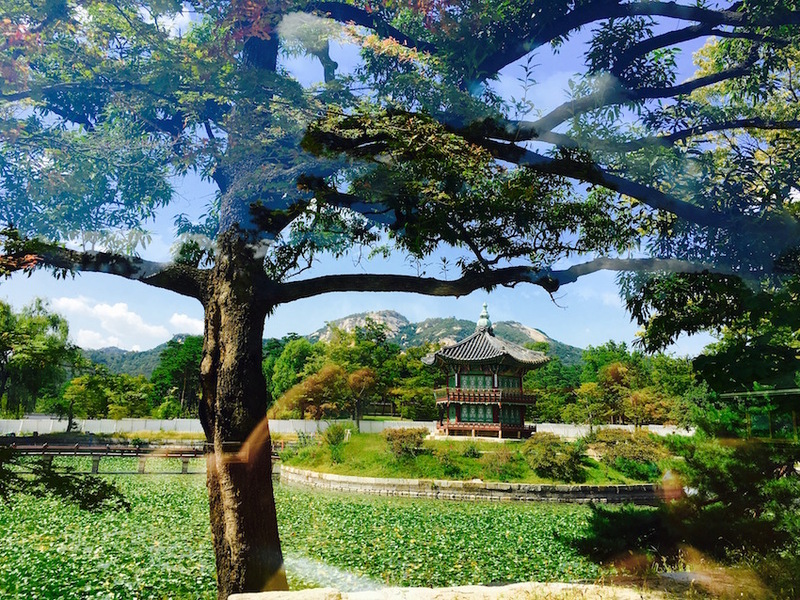 In our guidebook, Gyeongju is referred to as “the museum without walls”. It was the capital of the ancient kingdom of Silla, which ruled a large chunk of the Korean Peninsula from 57 BC to 935 AD, and a number of artefacts and buildings from this period are scattered over the area. 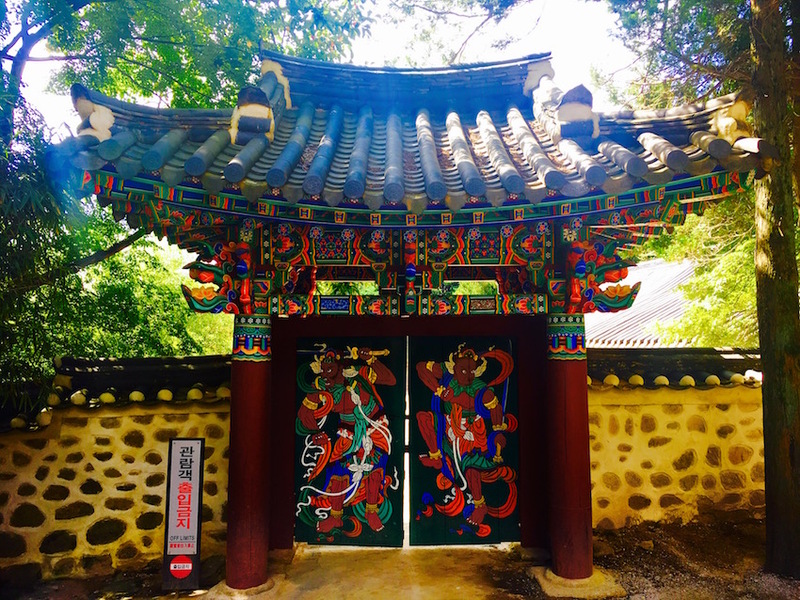 There are big grassy hills dotted all over Gyeongju – tombs from Ancient times – and we visited the Gyeongju museum to see the jewels and treasures that were discovered inside. We also visited Bulguksa Temple (home to a number of Buddha statues) and the Seokguram Grotto (a mandmade cave with a giant Buddha and other figures carved out of the rock). Both were very impressive and set in calm, beautiful surroundings. There are so many historical sites dotted throughout Gyeongju that it would have been impossible to see them all, even if we were visiting for a year. 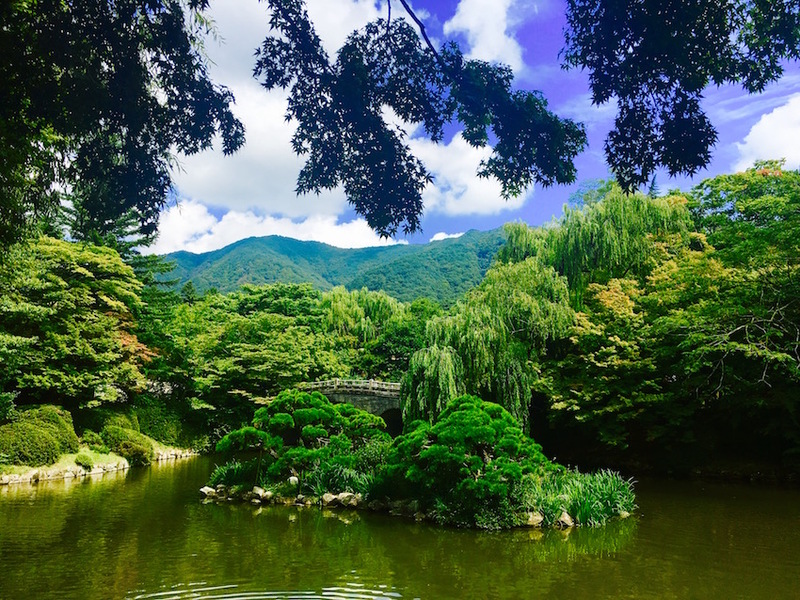 We have enjoyed everything about our visit to South Korea – from efficient transportation to beautiful palaces and landscapes to Korean BBQ – we have had a truly fantastic time. Travelling in South Korea has been so simple and easy. 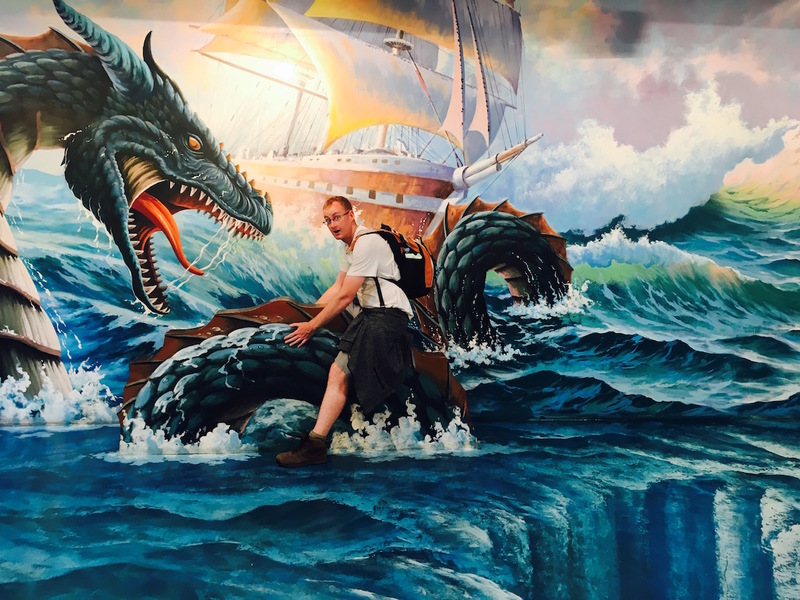 While the Mongol Rally felt like a challenge at times, it now feels as though we are finally on holiday J We will be returning to South Korea in October to visit Busan and Jeju, but for now… we are off to Japan!